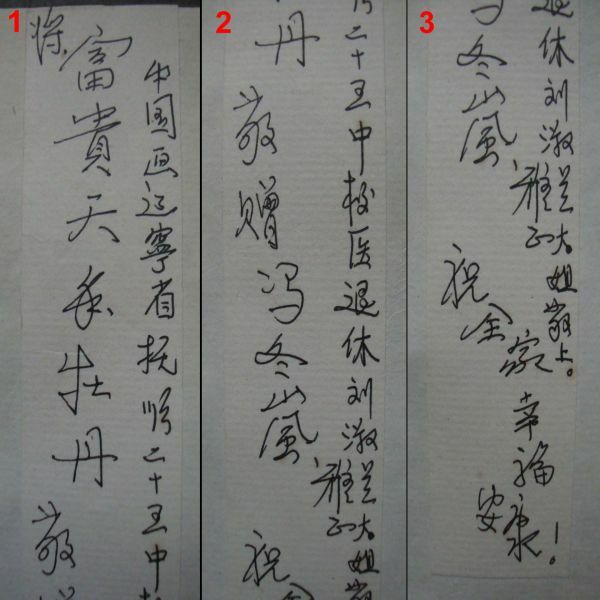 There is a handwritten panel on the reverse of the scroll. 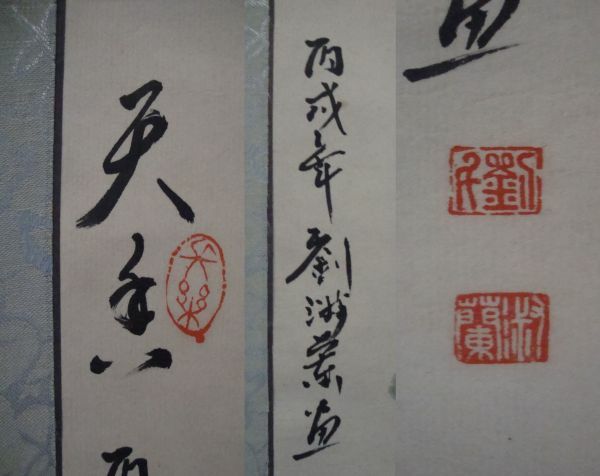 If anyone can decipher anything else, or the red seal marks, your assistance will be much appreciated!! 祝全家　幸福　安永　-　Wishing happiness and long lastinｇ peace to your family. Thank you so much for your help with both of these paintings, I am so glad to finally know a little more about them!